1 Center Plaza Garage is located opposite City Hall Plaza. 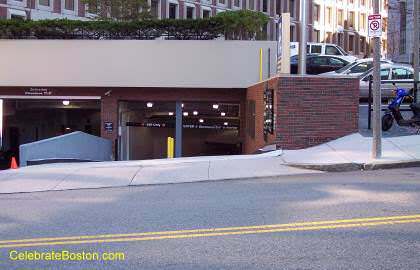 The garage has entrances on Somerset Street (from Cambridge Street) or Tremont Street (just past Court Street). The Somerset Street side is close to the Garden of Peace, state offices, and the Massachusetts State House. The Tremont Street side is close to City Hall and King's Chapel. The waterfront is just east of the garage, and Boston Common is to the South. Both areas are within walking distance.